Hey y'all & happy first Saturday of August! I have to admit to y'all, I was pretty awful at keeping up with my goals for June and I didn't even make any for July...so needless to say, it's time to get my rear end back in gear! Since getting my FitBit, I've been focusing on Step Goals, which is great-but I would love to actually hit five days per week of exercise, even if it's just a walk around our neighborhood! I'm going to be honest here, back in 2014 I lost my "soul-mate horse", Paint, and I haven't really been as into riding since then despite still having several horses. 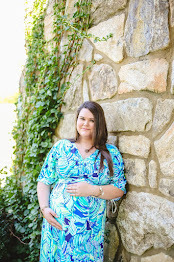 Here's to hoping you'll see pictures of me and Willow soon! I've been making a practice of reading every single night before bed and I'm just devouring my current book. I bought another on Amazon recently and I can't wait to start it too! Enjoy our Trip to Nashville! This is a goal I try to keep in mind pretty much every month, but I mean this in all aspects. I want to really work hard to use up the food we have in our home instead of running to the grocery store for something (we have no excuse, we have a ton of frozen beef and vegetables from the farm). 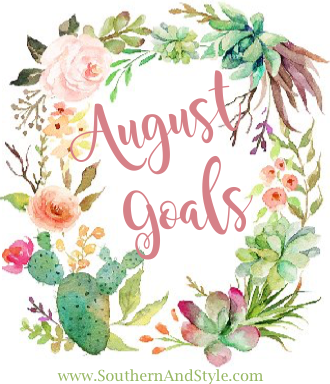 Let me know down below what your goals are for the month of August! Nashville sounds amazing!!! I wanna go one day! I love that these goals are beneficial and truly obtainable! I need the motivation to work out more, and my husband and I are also trying to use what we have more so than buying for new- especially when it comes to food. I'm very looking forward to finish the advertising book I started a while ago. I'm really into over-achieving my reading challenge. Good luck achieving August's goals! These are great goals! I also want to read more and get in a routine of exercising. 5 days of exercise.. something I need to get back on track with! I love the idea of using what you have before buying new. I've been trying to work on that too! Nashville sounds like such a fun trip! I'm currently trying to get back to the gym. My goal is 2 days this week, 3 next week, and so on until I'm up to every weekday! Good luck this month! Exercise is one of my goals right now, too! I also have been trying to take more walks around the neighborhood in addition to exercising. I think using what you have instead of buying new is something I also need to add to my goals right now. I'm SO bad at buying so many similar products or wasting the food that we have. Great goals for the month! Goals are so necessary to keep us on track! I love your goals! I definitely need to try to use what we have at home rather than buying new things. I have been really trying hard to cut down our grocery budget, and make do with what is already in our pantry and freezer--and I've been amazed by all the meals we can cook just from items we already have! I have a Garmin fitness tracker and it really helps me stay on track re: steps + exercise! Good luck with your fitness goals, lady- you can do it! One of my goals this summer was to read more and I'm loving it! Good luck with everything this month. I live in Nashville and hope you have a great visit here! I'm also on the work-out goal! I'm trying for 4 days a week, and I've had GREAT weeks and not so great weeks, but I'm hoping to get back into it. Have a great time in Nashville! It's SUCH a fun place to visit (and eat!) And I TOTALLY feel you on using what you already have. I hate when we toss unused veggies or fruit. It just feels so wasteful. I love that you've been talking about fitness because that has been a priority for me this month, too! I've been loving how good I feel after these workouts! I'm going to France in a couple of days... so my plans are to enjoy August! These are some great goals! Have fun in Nashville!! Great goals girl! I'm so jealous of your Nashville trip! I've been wanting to go so bad!